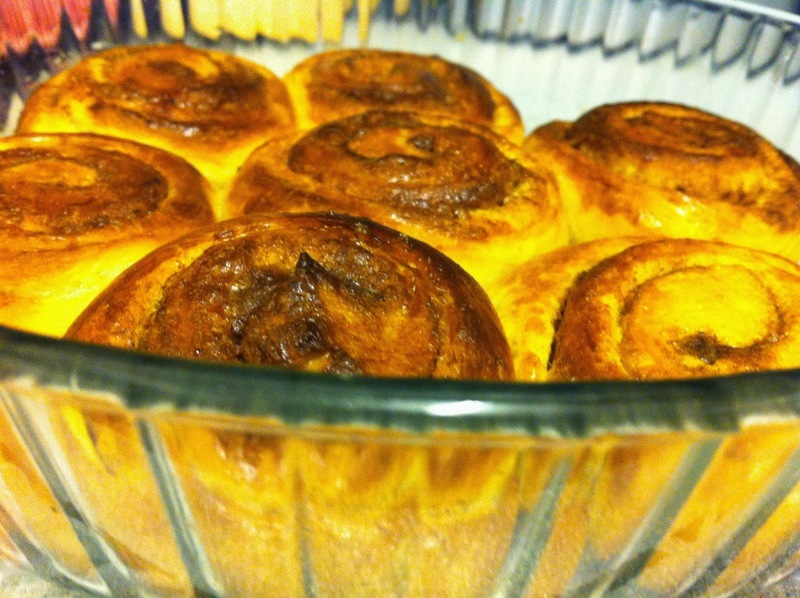 It is SO cinnamon bun season if there ever was one. Especially here in London where it has suddenly turned cold. Just look at them so beautifully snuggled. Sorry no in-process pictures. I have high hopes of trying some more cinnamon buns this weekend from the new Hummingbird book that I got for my Birthday :) . So will try to take some then, you can find very good pictures on the blog that I got the recipe from. I used half the amount of cardamom-a tablespoon seemed a little excessive to me and I thought half a tablespoon worked great. I also put chopped pecans in half the batch. I loved them with out any icing and so did everyone else.They are so comforting to make- its lovely watching the spirals swell up in the oven and the house smells amazing. 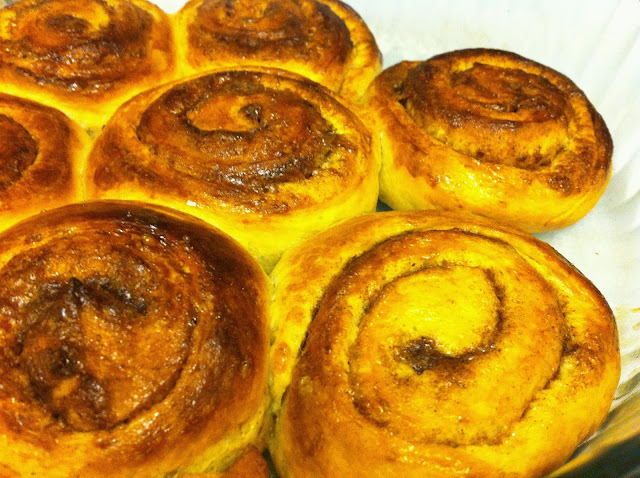 And while we are on the topic of buns smitten kitchen just did a post on some orange and cranberry ones, very seasonal.